Friends, now its been just more than two months when I bought my admirable hatchback Hyundai i20 MAGNA with CRDI diesel engine. This is my second car, prior to this I had top end model of Maruti Wagon R, here in Pune. I bought the car in March 2012, meter now reads 2812 kms and that too without single rupee spent on maintenance till now. Initially I use to think it as most expensive hatchback in India against its competitors like Nissan Micra, Volkswagen Polo and Honda Jazz. But after driving it I realized that it’s actually affordable luxury at satisfactory cost, with truly worth the price tag of around Rs 7 Lakh. Now, I like my Hyundai i20 for its roomy feature filled cabin, comfort, loads of space at boot and its dashing looks, of course salute to Hyundai for providing such a powerful variety in midrange models. As of now it is delivering mileage of 16-17 kmpl with AC on (city), which I hope to improve after couple of services. The Hyundai i20 has got issues like very smooth suspension that makes you feel real big bang when to take over a pot hole in city-ride. Ground clearance of 165mm I think, is lower for city drives, especially when it is packed comfortably with 5 people, although no doubt it is heaven in highway at higher speeds. Lastly, horn should have been better. Till now, I have clocked a rocket top speed of 150+ kmph on Mumbai-Pune express highway and was really thrilled to have such a remarkable speed in a hatch. It just goes smoothy after it achieves above 2000 rpm and is pleasant at 130+ kmph. Ok, one thing I noticed was that it didn’t gave its best on 2nd gear puling along with light steering which I don’t prefer for high speeds, but again it depends from person to person. 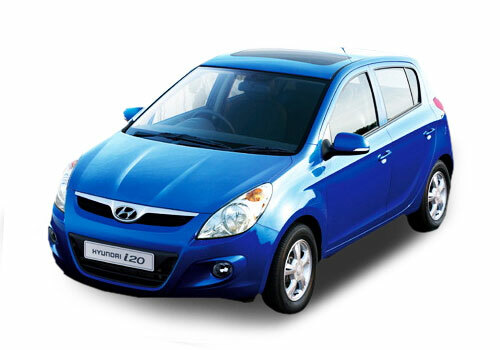 Mr Kapil I wanted to ask you two things about the new i20. One, how is the AC performance and two Is there any rattling sound from the steering column when going over rough patches? These two problems have plagued the old i20 but which hyundai claims have been sorted out in the new model. Regarding second gear I don't agree with you as I have test driven the car once and 2nd gear performance seemed more than adequate. My uncle too have Hyundai i20 Magna but in petrol engine. He never faced any kind of issues with it. And even I found it a very comfortable and spacious from interior with coolest AC.